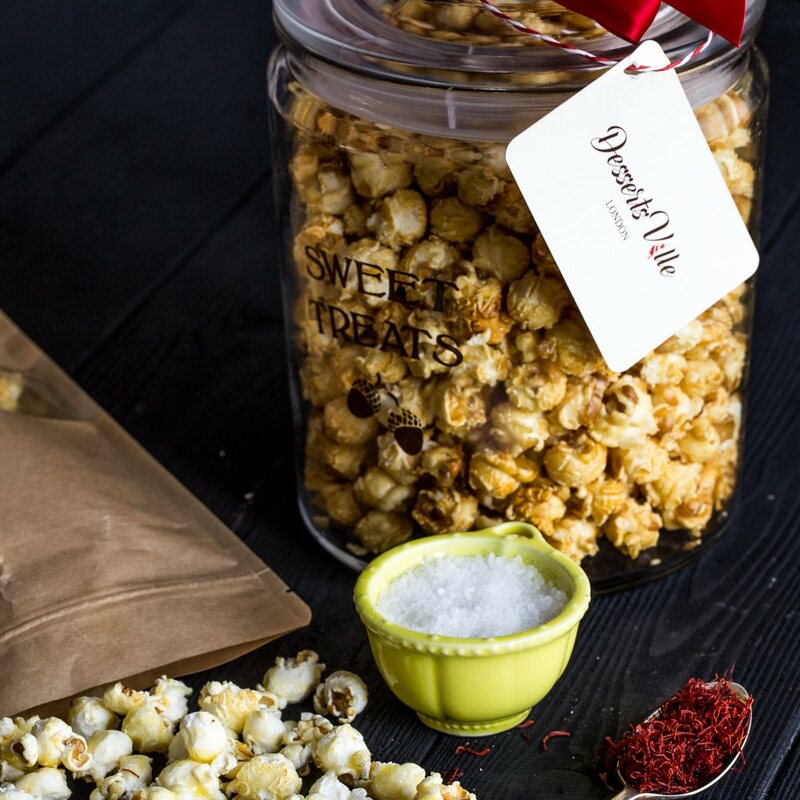 Classic sweet and salty popcorn given a Persian makeover. Air popped mushroom corn coated with exotic saffron butter sauce and finished with Anglesey sea salt. The subtle taste of Saffron combined with rosewater aroma creates a delightful experience for your taste buds. 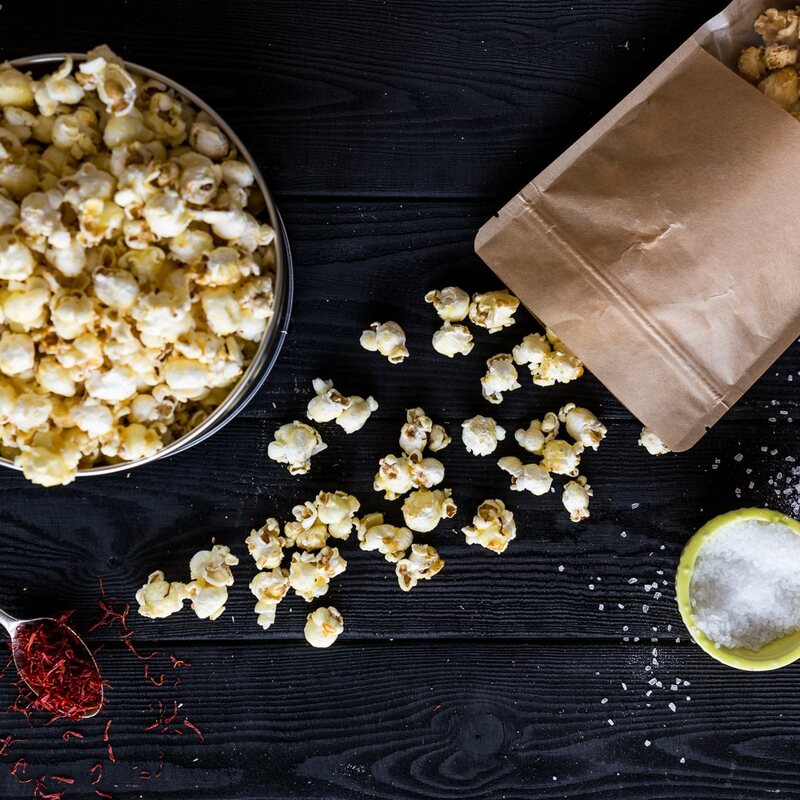 Once tasted you might not be able to let go until the last popcorn! Available in different sizes as a pack of 3 bags (can be combined with other flavours), gift tin and glass jar. This popcorn does not contain nuts but made in a kitchen where nuts are used.